South Korean newspaper says North Korean leader sent conciliatory message to Trump amid stalled talks. 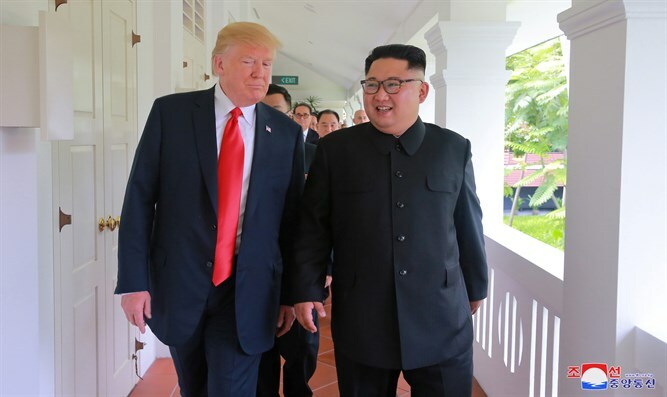 North Korean leader Kim Jong Un has sent a “conciliatory message” to US President Donald Trump, the South Korean Chosun Ilbo newspaper reported Sunday night, according to Reuters. The report did not include details about the substance of the message but said they related to US-North Korea talks. Despite the stalled contacts, Trump said recently he hoped to organize a follow-up meeting with Kim for early 2019. Neither the State Department nor the US Embassy in Seoul had an immediate comment about the report of Kim’s message to Trump when contacted by Reuters.